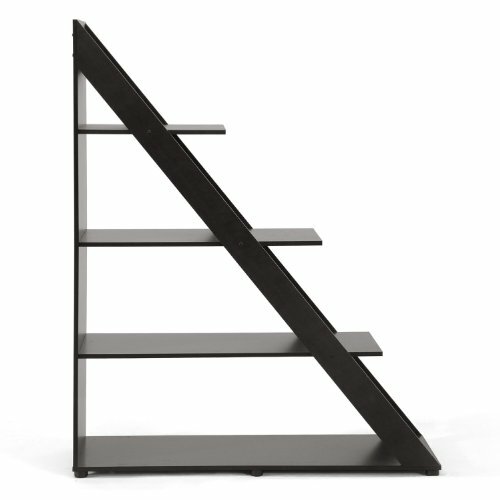 Stylishly divide your space with our Psinta Designer Shelving Unit. This versatile diagonally-designed display cabinet functions equally well against a wall or as a small room divider. Engineered wood is finished with dark brown faux wood grain paper veneer for an overall elegant, classic appeal. The Psinta Contemporary Display Shelf is made in Malaysia, requires assembly and should be wiped clean with a dry cloth. Dimensions: 59 Inch high x 15.875 Inch wide x 47.75 Inch deep Shelf Dimensions from top to bottom (4): 13.8 Inch high x 16 Inch wide x 14.7 Inch deep, 13.8 Inch high x 31.5 Inch wide x 14.7 Inch deep, 13.8 Inch high x 39.5 Inch wide x 14.7 Inch deep, 13.8 Inch high x 46.75 Inch wide x 14.7 Inch deep. Combining modern and classic elements, our Glidden Designer Shoe Cabinet unobtrusively tucks away shoes yet keeps them close at hand for a quick walk with the dog or trip to the office. 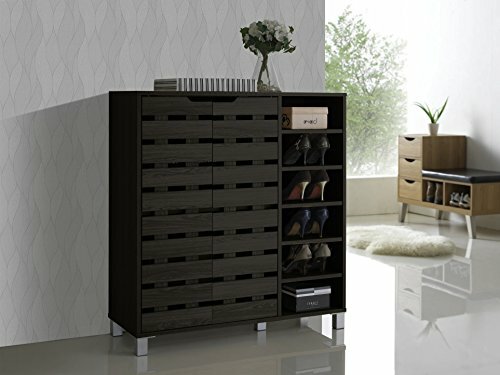 This contemporary shoe storage option is made of MDF and engineered wood with dark brown faux wood grain paper veneer: it's so stylish you'd never guess shoes are inside. Four fixed-height horizontal shelves behind the cabinet doors are ideal for adult and children's shoes alike, though boots are not recommended. Malaysian-made, this designer shoe cabinet requires assembly and should be wiped clean with a dry cloth. For those with more storage needs, a taller version of the Glidden Shoe Cabinet is also available (sold separately). Overall Dimensions: 28 Inch high x 29.1 Inch wide x 15.1 Inch deep. The Nikko is a stunning lounge chair perfect for modern lounges and receptions. It incorporates the elements of simplicity, style and comfort, wrapping it all into a new and clean silhouette. Made from solid rubber wood, it is purposefully designed for compact everyday use. Upholstered in dark brown faux leather and padded with foam, the Nikko is ideal for the conservatory, kitchen or your living room. 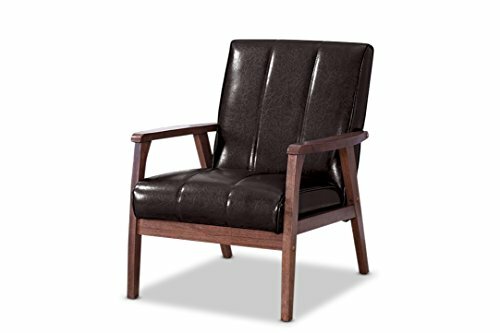 Angular wood frame gives a nod to mid-century style, combining Scandinavian design with luxe colonial wood in cocoa finishing and complementing the dark espresso-toned upholstery for a moody palette steeped in classic masculinity. Made in Malaysia, the Nikko requires assembly. 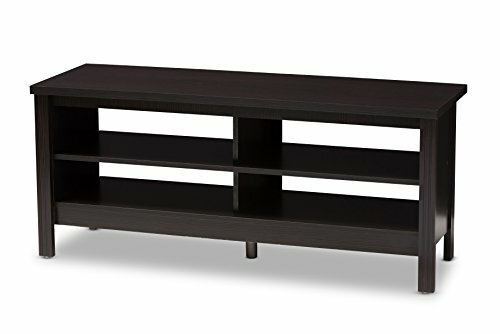 Simplify and organize your Livingroom with the Lauscha TV stand. The modern and contemporary-inspired design features a clean, rectangular silhouette. The Lauscha is finished in a wenge brown, making it easy to coordinate with a wide range of decor. 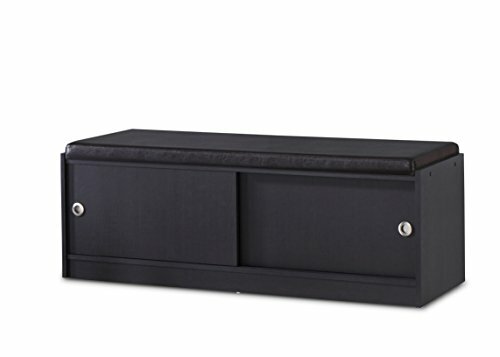 The TV stand has a wide top space, ideal for multiple television set sizes. The Lauscha has four open shelf spaces, making it easy to manage your cords. All of this shelf space makes it easy to store entertainment media, such as gaming consoles, DVDs, and video games. Practical, stylish, and with plenty of storage space, the Lauscha can easily bring together your living room, rec room, or gaming set-up. Made in Malaysia, this TV stand requires assembly. Your bedroom deserves the best. 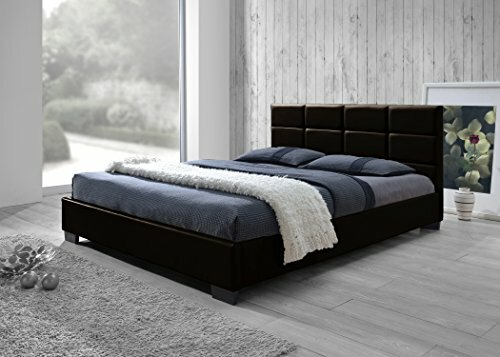 Add instant elegance and luxury to your existing modern and contemporary decor with this Vivaldi Faux Leather Upholstered Modern Platform Bed. The Vivaldi platform base bed frame is the combination of style, durability, and affordability. An exceptionally sturdy all-wood frame and support slats provide a rock-solid foundation for your mattress that will surely lead to many restful nights. The faux Leather covering is similarly durable, not to mention easy to clean. The Vivaldi is upholstered and padded with foam throughout to provide utmost comfort. The frame is designed to accommodate standard full size mattress with dimensions of 54 x 75 inches. The headboard features clean, modern lines along with an attractive grid tufted design. And the dark brown color is perfect for neutral decors. Made in Malaysia, the Vivaldi requires assembly. A basic design with subtle detail, the Eugene dining Chair is also versatile and oh so stylish. 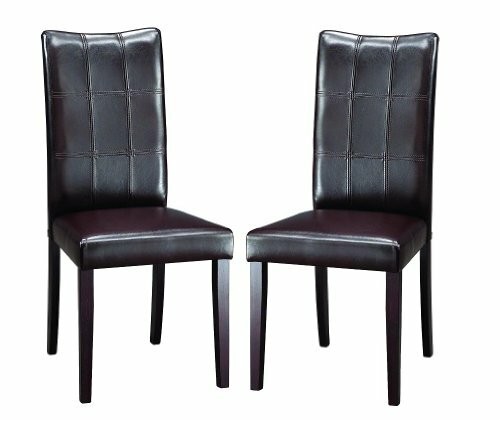 A foam padded seat with dark brown faux leather features rectangle panels stitched together to form the backrest. Each chair is also made with a rubberwood frame and legs in a dark brown wood veneer finish. The Eugene Chair is sold in sets of two and requires assembly. This entryway bench combines style and function and it'll effortlessly blend into any space and really help clear your space of those messy piles of shoes that everyone always trips over. This unique seating bench features two storage compartments behind the sliding doors and a faux leather cushion top for comfortable seating. This solid piece is constructed of engineered wood in dark brown PU veneer. To add more functionality, you can use the faux leather storage bench ottoman in the living room for a place to rest your feet as you watch TV or read a book. The interior can be used to hold magazines, newspapers, remotes or other electronic devices. This lovely piece can also be used as extra seating, when needed. Made in Malaysia, the seating shoes storage bench requires assembly. Getting work done is fun when our stylish Idabel Writing Desk is involved. 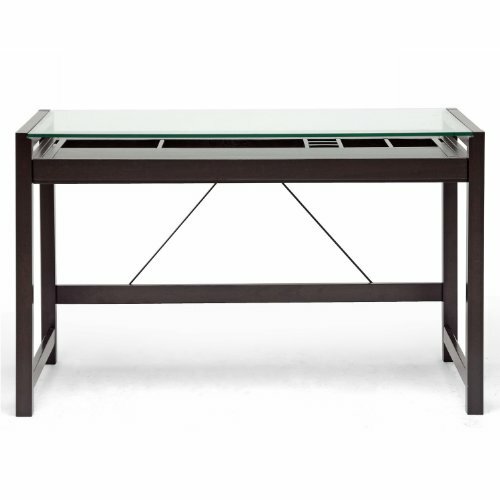 This modern desk is beautifully constructed with an MDF frame and very dark espresso brown-finished veneer. Organization has never been easier with the many integrated compartments built into in the long drawer, which also fits a computer keyboard. Sleek and professional is the clear tempered glass top, which allows your stored stationery and office supplies in the drawer's compartments to be open to view and easy to locate when needed. This simple desk requires assembly and is made in Malaysia. To clean, dust with a dry cloth and/or use standard glass cleaning solution. Desk dimension: 47-1/4 W by 23.625 D by 29.125 H ,sliding shelf of the desk dimension: 41-1/2 W by 17.625 D by 2-1/4 H storage cubes dimension from left to right:(10.125+15-1/4+3-1/4+4-3/4+4-3/4)W by 8 D by 1.375H. Featuring modern and contemporary design, this fantastic 2-door shoe cabinet with open shelves combines storage with style. The shoe cabinet is complemented by two of its slatted doors for a sleek appearance. Constructed of engineered wood, the shoe cabinet is finished with dark brown faux wood grain veneer for practical everyday use. The two pulled out doors reveal six storage shelving space inside and can hold up to 18 pairs of shoes. The open shelves on the right add extra shelving space for another 6 pairs of shoes. To add chic and style, five vinyl feet are added to provide floor clearance. Suitable for your bedroom, living room or entryway area, the Shirley provides modern storage solution for your shoes. Made in Malaysia, the Shirley requires assembly. 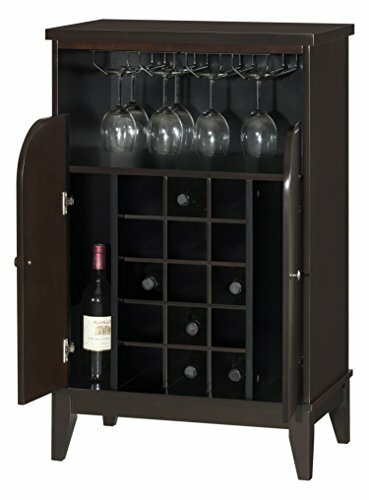 Beautifully crafted with solid rubberwood and MDF in dark brown finishing, the Easton dry bar and wine cabinet, with its slim lines will not absorb precious space, looking fantastic against a wall in any lounge, kitchen or dining room and pieced together with other contemporary furniture will make you the envy of your friends. The clean sophisticated lines of this wine cabinet is a superb storage solution that is not only good looking but will last a lifetime. This elegant compact piece of furniture has generous sized built-in wine racks and shelves sitting behind the two cut-out doors. The open shelf on top is built in with glass holders for easy maintenance of your wine glasses. For a more contemporary look, silver hardware is in use. This extremely functional piece of furniture would complement any home and would not look out of place within a kitchen or living area alike. Made in Malaysia, the Easton requires assembly. Looking for more Dark Brown Baxton Studio similar ideas? Try to explore these searches: Goth Emo, 14k Gold Ball Stud Earrings, and Apexi n1 Damper. Shopwion.com is the smartest way for comparison shopping: compare prices from most trusted leading online stores for best Dark Brown Baxton Studio, Pool Water, Schooler Santa, Dark Baxton Studio Brown . 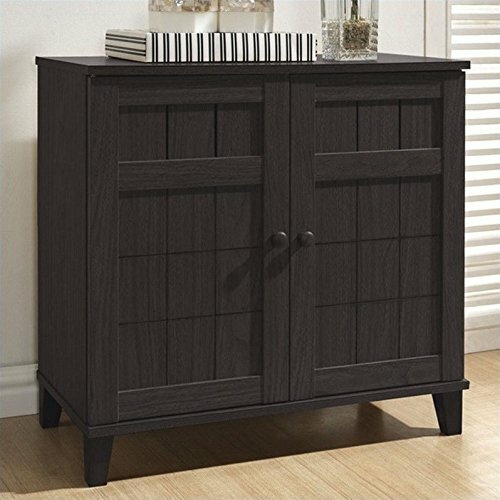 Don't miss this Dark Brown Baxton Studio today, April 19, 2019 deals, updated daily.